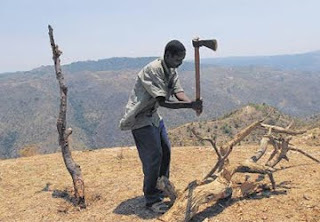 A young man seeking employment with a logging contractor was asked to axe down a tree and he was hired. But, soon, he was fired. "You're lagging behind quota." He protested, "But I worked the hardest!" "Have you been sharpening your axe?" "No, Sir... I'm too busy to do that."